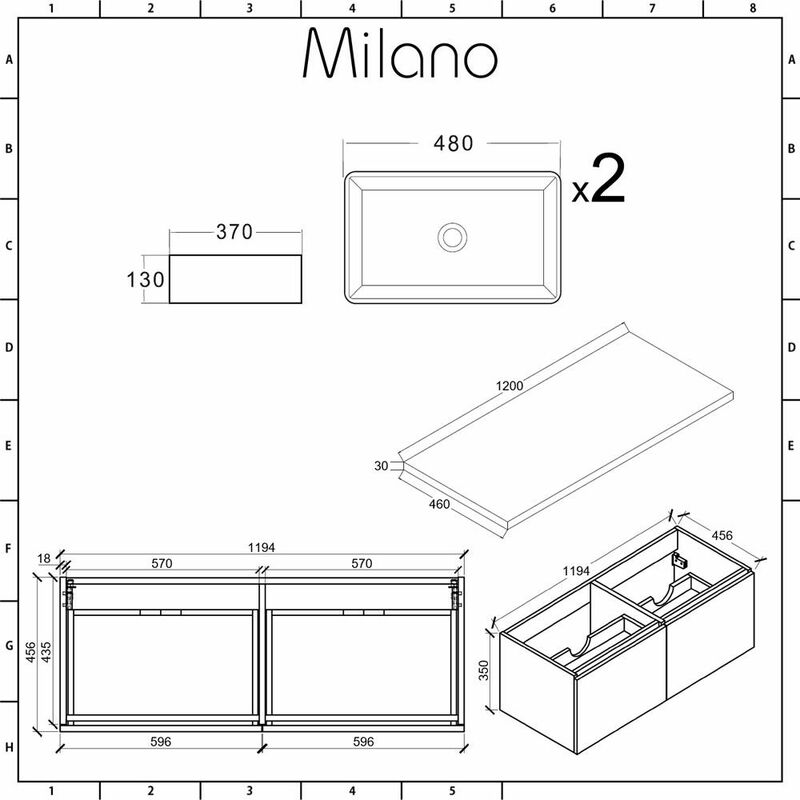 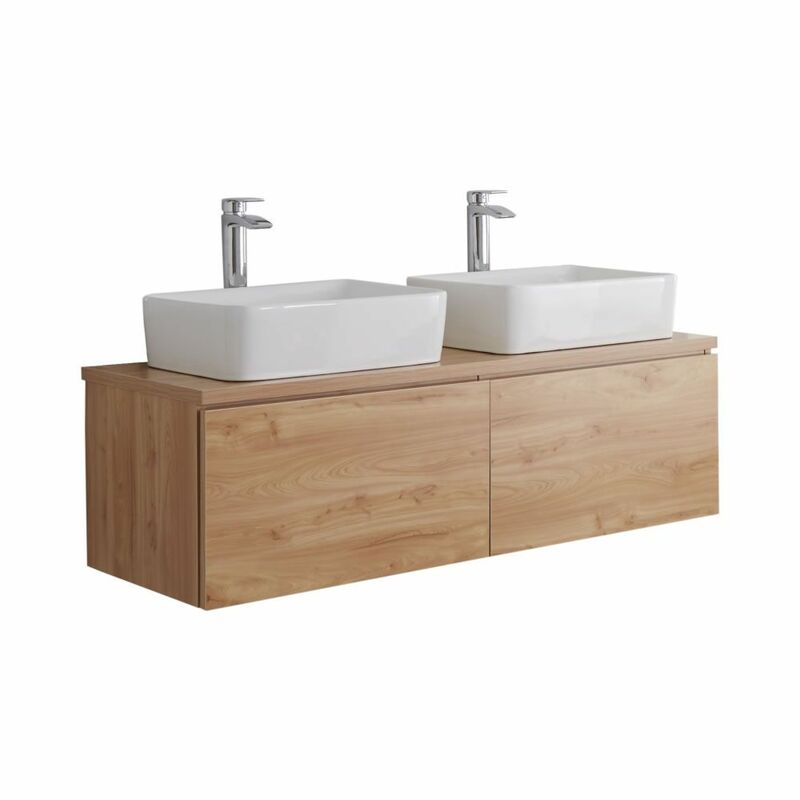 Combine style with functionality to provide extra storage in your bathroom with the wall-mounted Milano Oxley 1200mm vanity unit and ‘his-and-hers’ matching basins. 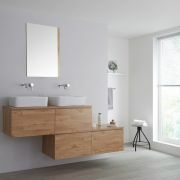 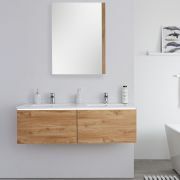 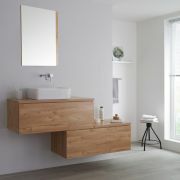 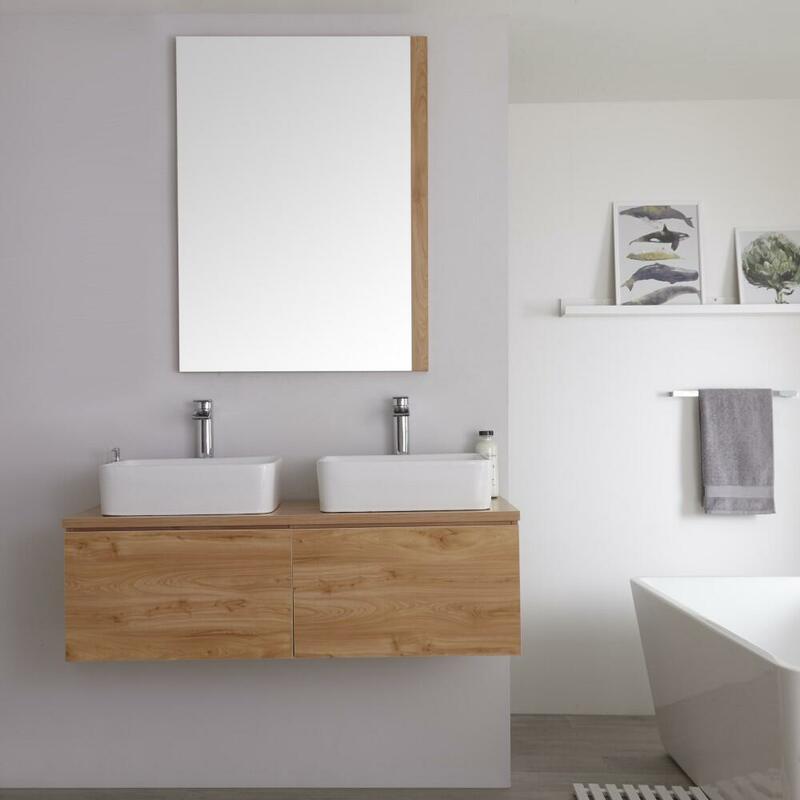 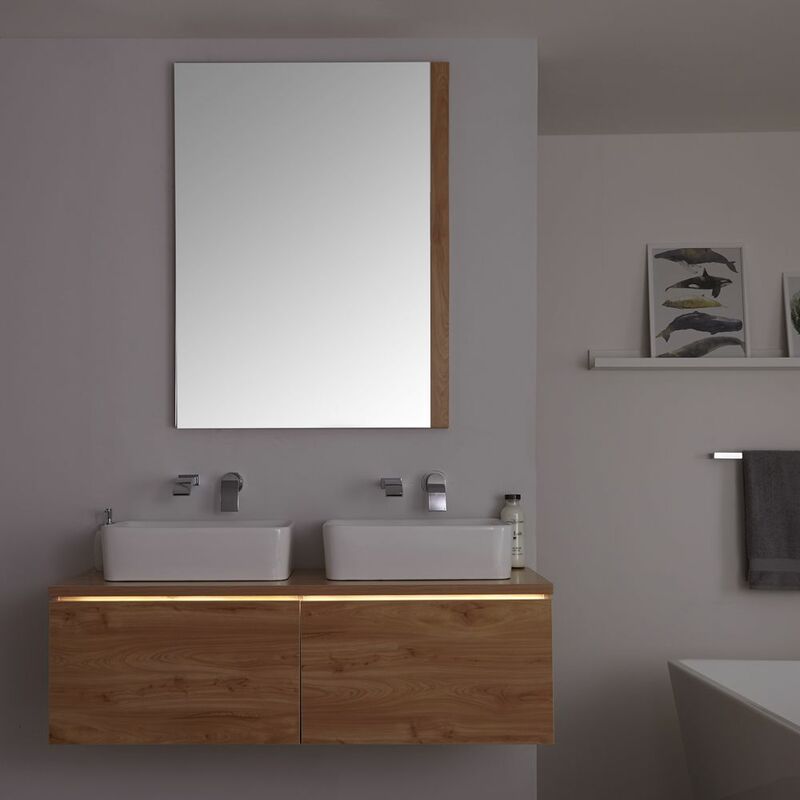 Manufactured from strong moisture resistant engineered wood for long-lasting use, the Oxley vanity unit is finished with an attractive golden oak woodgrain effect. 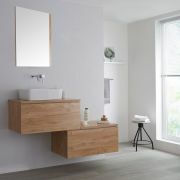 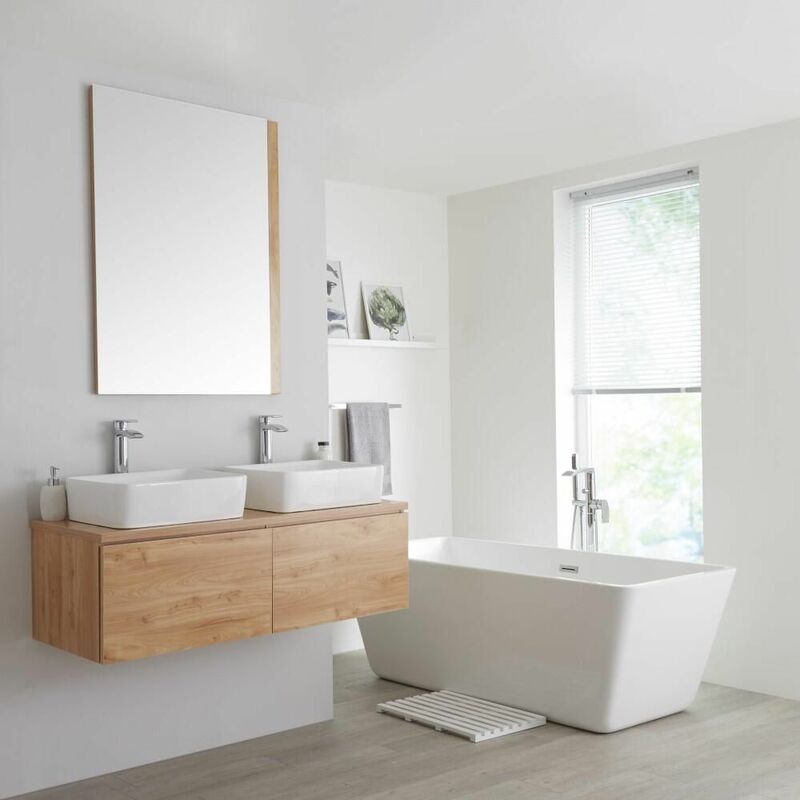 To keep your bathroom looking minimalist, storage is provided by two push to open soft close drawers that have ample space to keep your bathroom essentials discreetly out of sight. 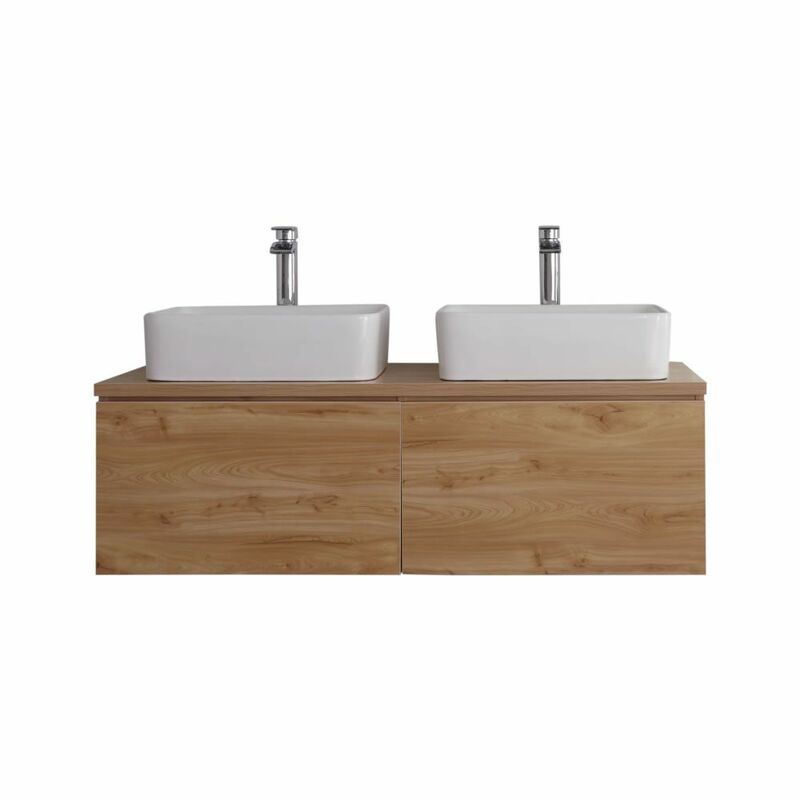 The matching rectangular countertop basins are made from high quality ceramic and feature a striking easy to clean white glaze finish. 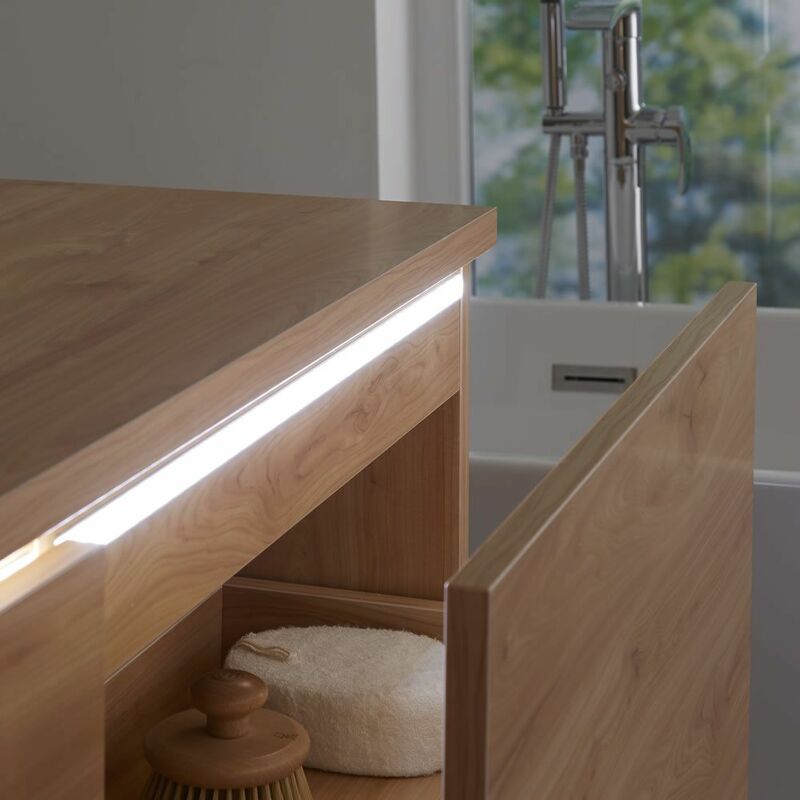 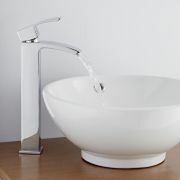 The basins aren’t fitted with tap-holes, allowing you to customise the look you want using any of the wall-mounted or high-rise taps from our range.